Surf around the Net. Click here, click there. You run across the darndest things. Ms. Annie Parker, blogger (The Bitter Divorcée), raconteur (raconteuse? ), and funny person, gave this link to the Onion, the satirical news network, while writing, "Just got my Despondex Rx filled. Too bad it is too late to have saved my marriage." The first ever prescription depressant hit the shelves today. Approved by the FDA last month, Despondex is intended as a treatment for the approximately twenty million Americans who are insufferably cheery. Tests prove that the drug is effective at reducing a range of symptoms from squealing loudly when a friend calls, to use of the phrase cool beans, and excessive hugging. Made by Pfizer, Despondex is the first drug designed to treat the symptoms of excessive perkiness. I stopped dead in my tracks when I heard "cool beans". What? I have never heard that in my entire life. I had no idea what it meant and being the inquisitive soul I am, I looked it up. A slang term that actually began it's use in the late 60's/early 70's. Popularized by the pop culture of the time. Used to describe something very favorable or pleasing. Great. Very nice. The web site then provides several examples of the expression being used in a sentence. Hmmm, I guess I didn't see all the Cheech and Chong movies. - Gawd, how old am I? Anybody under 30 has no idea who these guys are! "Hey, dude, I won the lottery." "I just got that girls number!" The phrase ‘cool beans’ dates back to the early 1700's when French fur trappers roamed the American Midwest. After a successful outing they would say, "course bien" (pronounced 'cur'), meaning good run. When English-speaking pioneers started moving westward, they heard the trappers use course bien in a positive way after a hard day’s work, but mistook it as the phrase "cool beans." It resurfaced in America during the late 1960s. Hits of acid and ludes were dubbed "cool beans" for their bean-like shape. They were also referred to as "whacky beans" or just "beans." On top of that, there is the homophone connection between the food "chili beans" and "chilly beans", literally meaning "cold beans". I have gone through numerous web sites claiming to give the origin of the this expression and all of them refer to the drug culture of the 60s and 70s. No other source makes reference to French fur trappers and I note that Wikitionary itself labels this part of its entry with "reference needed" so whichever contributor added that to the definition has failed to provide any confirming notation. I guess that for sure we can say it dates back to the 60s drug culture but further back than that seems to be conjecture. J.E. Lighter "Historical dictionary of American Slang (Vol 2)" (New York: Random House Publishing 2007; ISBN 978-0195174182). I ran across a note where somebody said that the character Holden Caulfield in J. D. Salinger's book The Catcher in the Rye uses this phrase. I read that book as a teenager but don't remember the phrase. Is this in fact true? I can't find anything on the Net. This book was published in 1951 so if it does use the phrase, it pre-dates the 60s drug culture so this would confirm the origin of the phrase goes further back than the 1960s. Cool beans? I sometimes jokingly say that I have lived a sheltered life, but I sometimes wonder if I really have lived a sheltered life. Then again, the world is a big place - and I mean a really big place - so can I expect to know to all? It is curious to realise that regionalisms (If connected to an entire country is it a nationalism?) may have never made it to my home town so discovering it now makes it for me brand spanking new. Then again, this may be more a case of "ageisms", that is, expressions which are used in a specific age group and don't migrate well to us old fuddy-duddies. The Onion is an American news satire organization. It is an entertainment newspaper and a website featuring satirical articles reporting on international, national, and local news, in addition to a non-satirical entertainment section known as The A.V. Club. It claims a national print circulation of 400,000 and says 61 percent of its web site readers are between 18 and 44 years old. Since 2007, the organization has been publishing satirical news audios and videos online, as the "Onion News Network". Web traffic on theonion.com amounts to some 7.5 million unique visitors per month. 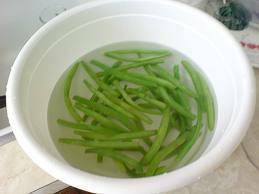 Google image search: "cool beans"
Google video search: "cool beans"
Google news search: "cool beans"
I too wondered about the orgin of the phrase "cool beans". I saw the reference to 'Catcher in the Rye' and didn't recall the phrase from the book. I always thought the phrase came from the Spanish "culo benito" something heard frequently at the beachs in southern California. Fascinating etymology. My kids have used the expression for years. But you, Sir, are sounding annoyingly cheerful. Head for the produce department. Vite!